Qosina offers a variety of valves that are in stock and ready for immediate delivery. Qosina part # 90404 is a closed male luer lock to barbed valve connector which closes upon disconnection. The barbed connection fits 1/8 inch ID tubing and eliminates the need for bonding. This valve is designed for applications that require a high flow rate and is ideal for flushing and drainage. Made from PC, silicone and PP, this valve prevents dripping and leakage, restricting the free-flow of liquids and eliminating the need for clamping. Qosina offers a large selection of valves and valve accessories to satisfy your project requirements. Qosina offers a variety of valves that are in stock and ready for immediate delivery. Qosina part # 90402 is a bidirectional valve connector which features a male luer lock valve connector that closes upon disconnection. With a 0.161 - 0.148 inch ID tubing port, this valve is designed for applications that require a high flow rate and is ideal for flushing and drainage. Made from PC, silicone and PP, the valve prevents dripping and leakage, restricting the free-flow of liquids and eliminating the need for clamping. Qosina offers a large selection of valves and valve accessories to satisfy your project requirements. Qosina offers a variety of valves that are in stock and ready for immediate delivery. Qosina part #90407 is a closed male luer lock to a tubing port connector that features a 0.260 inch – 0.252 inch inner diameter. This valve closes upon disconnection, is designed for applications that require a high flow rate and is ideal for flushing and drainage. Made from PC, silicone and PP, this valve prevents dripping and leakage, restricting the free-flow of liquids and eliminating the need for clamping. Qosina offers a large selection of valves and valve accessories to satisfy your project requirements. Qosina offers a variety of valves that are in stock and ready for immediate delivery. Qosina part #90405 is a closed male luer lock to female luer lock valve connector which closes upon disconnection. This valve is designed for applications that require a high flow rate and is ideal for flushing and drainage. Made from PC, silicone and PP, this valve prevents dripping and leakage, restricting the free-flow of liquids and eliminating the need for clamping. Qosina offers a large selection of valves and valve accessories to satisfy your project requirements. Qosina offers an extensive line of luer-activated valves in a variety of configurations that are in stock and ready for immediate delivery. Ideal for use in applications that require inflation or deflation, Qosina part #80470 is a luer-activated valve, equipped with a female luer slip and 0.25 inch OD. 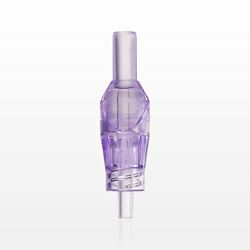 Made of PVC, silicone and polypropylene, this luer-activated valve is opened by the stem of a male luer. Once connected, the valve is open, allowing for flow of fluids and air. Our sales team can assist you in building a custom configuration to meet your project requirements. Qosina offers a variety of valves that are in stock and ready for immediate delivery. Qosina part # 90403 is a component ideal for procedures involving liquid sampling. Materials consist of an ABS red male luer lock body, a polycarbonate female luer lock body and silicone valves. 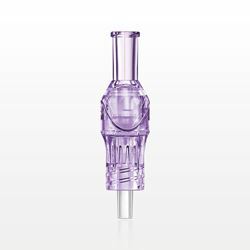 When the needleless swabbable luer activated valve is accessed by a male luer lock or male luer slip syringe, the internal duckbill check valve allows fluid samples to be taken. The one-way duckbill prevents accidental injection through the connector. 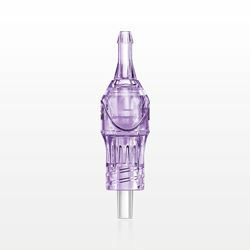 The needleless valve seals against any back pressure upon disconnection of the syringe. Qosina offers a large selection of valves and valve accessories to satisfy your project requirements. Qosina offers a variety of valves that are in stock and ready for immediate delivery. Qosina part # 80363 is designed for applications that require inflation. Once activated by the stem of a male luer lock connection, this valve opens, allowing for the free flow of air or fluid. When disconnected, the valve closes and keeps air inside. Made from PVC, PP and silicone, this bidirectional valve is equipped with a female luer lock inlet and male luer lock outlet. Qosina offers a large selection of valves and valve accessories to satisfy your project requirements. Qosina offers a variety of valves that are in stock and ready for immediate delivery. Qosina part # 80114 is a bidirectional valve that features a green silicone actuator. Once activated by the stem of a male luer lock connection, this valve allows the free flow of air or fluid. 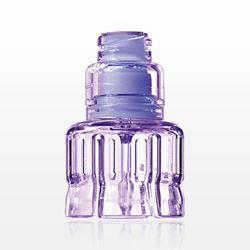 Made from ABS, PC and silicone, it is equipped with a female luer lock inlet and a male luer lock outlet. Qosina offers a large selection of valves and valve accessories to meet your project requirements. Qosina offers a variety of valves that are in stock and ready for immediate delivery. Qosina part # 80361 is designed for applications that require inflation. Once activated by the stem of a male luer lock connection, this valve opens, allowing for the free flow of air or fluid. When disconnected, the valve closes and keeps air inside. Made from PP and silicone, this bidirectional valve is equipped with a female luer lock inlet and a 0.295 inch OD tubing port outlet. Qosina offers a large selection of valves and valve accessories to satisfy your project requirements. Qosina offers a variety of valves that are in stock and ready for immediate delivery. Qosina part # 80362 is designed for applications that require inflation. Once activated by the stem of a male luer lock connection, this valve opens, allowing for the free flow of air or fluid. When disconnected, the valve closes and keeps air inside. Made from PVC, PP and silicone, this bidirectional valve is equipped with a female luer lock inlet and a 0.295 inch OD tubing port outlet. Qosina offers a large selection of valves and valve accessories to satisfy your project requirements.